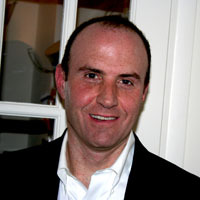 Michael Dattoma is the president of The Bart Group Retail Merchant Services in New York. Michael has been consulting with specialty retailers for over 20 years. The Bart Group Retail Merchant Services delivers broad expertise to specialty retailers in areas including cloud point-of-sale and inventory control, unified commerce solutions across all sales channels and elimination of silos, mobile POS, CRM and clienteling. Michael and his team advocate for independent specialty retailers to help empower them with the resources, tools, and expertise to thrive in an increasingly competitive marketplace. Ask Michael about retail technology solutions that reduce costs, improve efficiency and drive revenue. michael@retailmerchantservices.com www.retailmerchantservices.com. If your stores are still unable to read EMV chip cards, you may have noticed a very disturbing trend as of October 1: automatically losing chargebacks on Visa and MasterCard transactions with no recourse. Notice a jump in visa and mastercard chargebacks? Retailers who were lagging in EMV readiness are now seeing the true cost of not upgrading their software and hardware. Is your retail business a “winner” or a “laggard”? Expert Michael Dattoma breaks down a recent retail survey by Retail Systems Research. A retailer wants to learn how to get to know his customers better through the use of technology. It’s the final countdown to the credit card fraud liability shift to retailers. Are you prepared? Ask the experts: is your pos system ready for apple pay? A retailer facing a costly software and hardware upgrade gets some advice from Michael Dattoma, our retail technology expert. Michael Dattoma takes a question from a frustrated store owner about updating POS technology and becoming an omni-channel retailer. Michael Dattoma: Are you giving your customers a cohesive brand experience between your stores and e-commerce, or are you still in denial? POS systems expert Michael Dattoma on what you need to know about the big switch to EMV cards and the coming shift in fraud liability to merchants.